We are constantly looking for ways to provide kids with opportunities to adopt the sport of tennis. Whether it is through an after-school community program or through a club, our goal is to provide kids with opportunities to get started, to share our passion for the game and to encourage them to be active for life. Tennis BC has a number of fundraising and donation programs available that support both community youth and high performance tennis programs in BC. These programs start with your support. Through the Vancouver Foundation, Tennis BC has created two legacy funds. 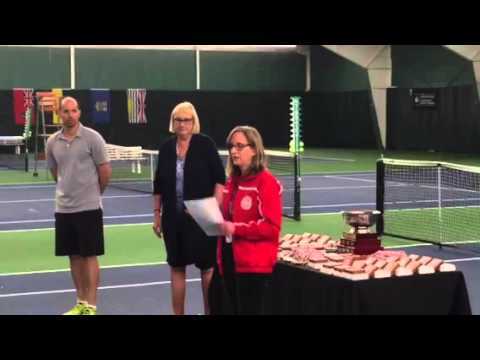 The Community Youth Tennis Fund, which supports the development of youth tennis at the community level, and the Edward Siemens Memorial Tennis Fund, which supports one or more high performance junior athletes competing for Team BC. The Jack Pedlar Junior High Performance Travel Fund supports high performance coaches travelling with kids to various events, and the Rob Fletcher Legacy Funds support schools programs. 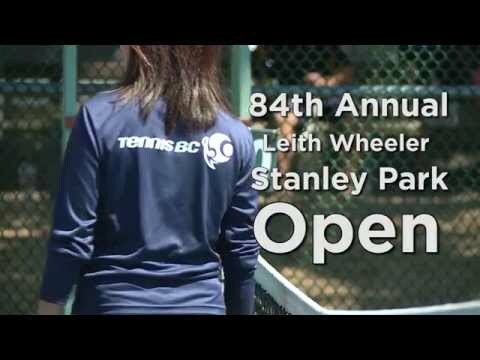 These programs accept donations through Tennis Canada’s Tennis Matters program which issues tax receipts to the donors and issue the funds to Tennis BC to manage. Donations to the sport of tennis in BC can also be made through Tennis Canada, a Registered Canadian Amateur Athletics Association, with funds directed to Tennis BC. Please see Tennis Canada’s Donation and Policy Form. Please see below detailed description of each fund and ways to donate and support tennis in BC. Most young players develop their passion for the game on public tennis courts in the community, learning the game in a fun, social setting. This fund supports the development of youth tennis at the community and neighbourhood level providing youth opportunities to participate in and enjoy tennis programs. Tennis BC has programs that donate rackets, balls and learn to play equipment to help keep kids healthy, active and playing for life. Contributions made to this fund are eligible for tax receipts. The Community Youth Fund currently has $44,027. In 2018, we raised $3,361. Thank you for your contributions! To learn more about the Vancouver Foundation and to give to this fund, please click here. In 2013, Jack Pedlar was inducted into the Canadian Tennis Hall of Fame for his service to tennis in British Columbia. Jack was a huge contributor to the development of Tennis BC through his efforts with the USTA and the Pacific Northwest Tennis Association. He was president of Tennis BC in 1973-1974 and was honoured as Mr. Tennis in 1976. He was on the Board of the Pacific Northwest Tennis Association in the 90’s before he became vice president in 1990-1991 representing the province of BC. His contribution to tennis was also recognised through his induction into the Pacific Northwest Tennis Association (2001). Throughout the years he won numerous senior titles in Singles and Doubles. 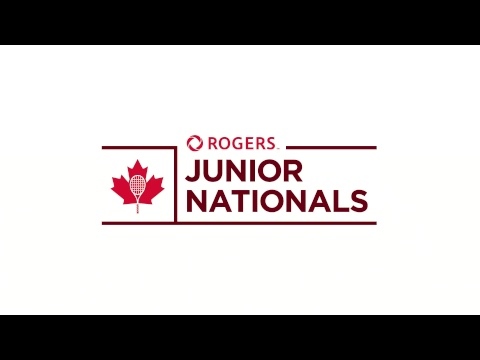 To support Junior High Performance Travel internationally, specifically to support the coaches travelling with the BC Team. JPJHP Committee will be comprised of Joanie McMaster, Deb Orange, Carol Pedlar, supported by Mark Roberts and in consultation with Oded Jacob. Funds will be directed to Tennis Canada, Tennis Matters with the funds being be administered by Tennis BC in consultation with the JPHPT committee. Tax receipts will be issued by Tennis Canadaís Tennis Matters. A total of $12,700 was raised through the generosity of 19 donors. Tennis Canada matched the total amount ($6,350). Over the next five years, $2,000 will be distributed to Junior High Performance Team Travel (Coaches) for international travel. Rob Fletcher had a significant impact on Tennis in BC and the programs and services Tennis British Columbia provides. It was his leadership, both as a director and President, that initiated strategic planning and an emphasis on grass roots tennis programs, engaging people of all ages in all areas of the province. These initiatives and programs resulted in TBC having one of the highest participation rates in the country. Sadly Rob passed away in December 2013. To honour Rob’s significant leadership and to support his passionate desire to inspire all people, especially children to take up the sport of tennis, Tennis BC has created the Rob Fletcher Legacy Fund. This fund will be used to support the popular school’s program in BC. The funds will be used to support the delivery tennis leadership, instruction, equipment and programs to schools in the province. Tennis BC works with many school districts in the province to enable students to receive positive tennis lessons using the progressive tennis programs created by Tennis Canada that feature right sized equipment and innovative teaching techniques. Additional funding is required for some schools to take advantage of the tennis program. The Rob Fletcher Legacy Fund would support the school’s program in schools where financial support is needed. The Rob Fletcher Legacy Fund may receive donations either directly or through Tennis Canada who will issue a tax receipt. See attached for the Tennis Canada Donation Form to be used with your donation. Tennis BC will maintain a separate Bank Account called the Rob Fletcher Legacy Fund, where all funds donated will be deposited. This account will be audited with the Tennis BC accounts annually. The CEO of Tennis BC will identify a school program annually where financial support is required for the program to be successful. Rob Fletcher did so much for so many people. This Legacy Fund will continue his efforts. Donations to Tennis BC can be made through Tennis Canada, by specifying funds are a gift / donation to be made to Tennis BC. 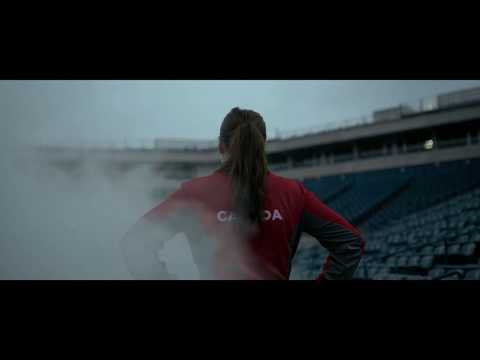 To view and/or complete the Tennis Canada Donation Form, please click here. To view the Donation Policies for Provincial Associations, please click here.